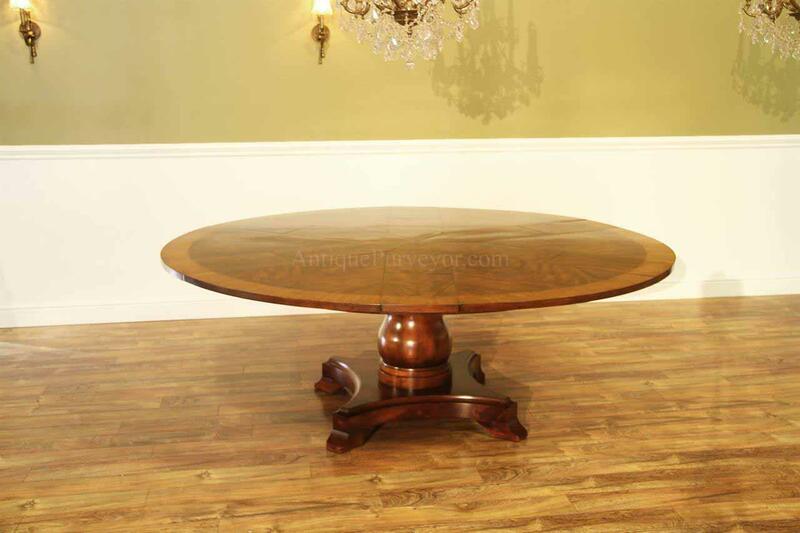 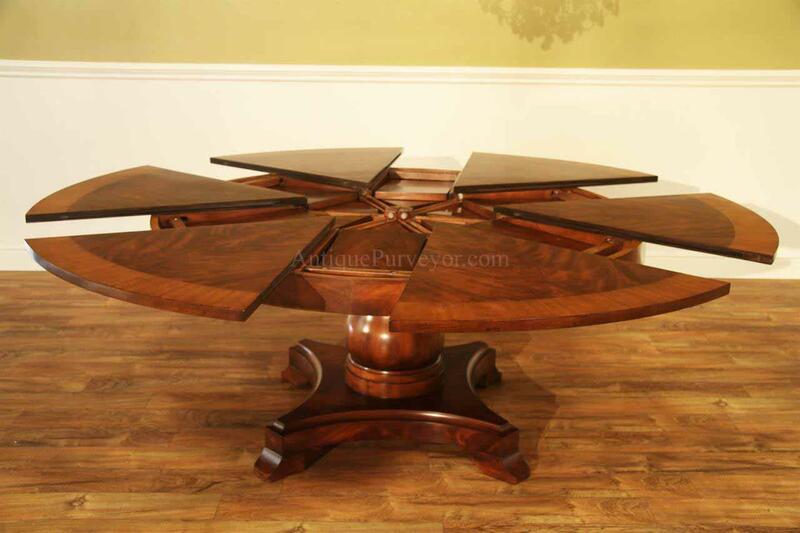 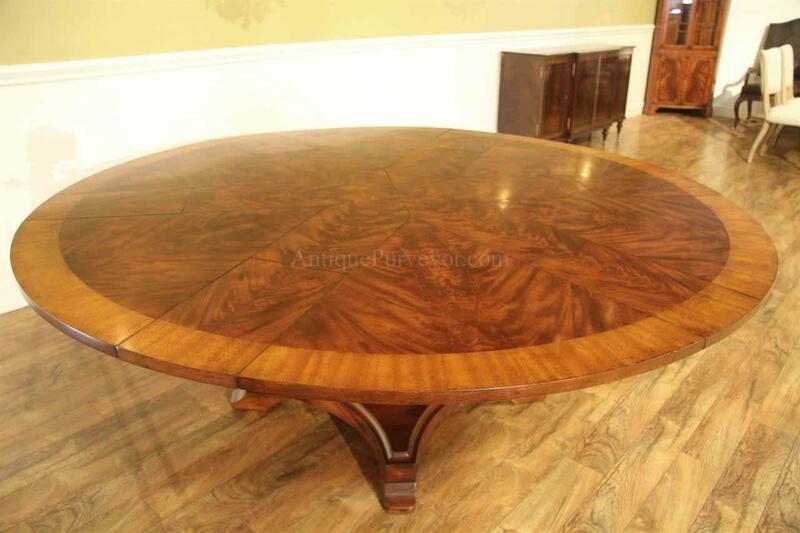 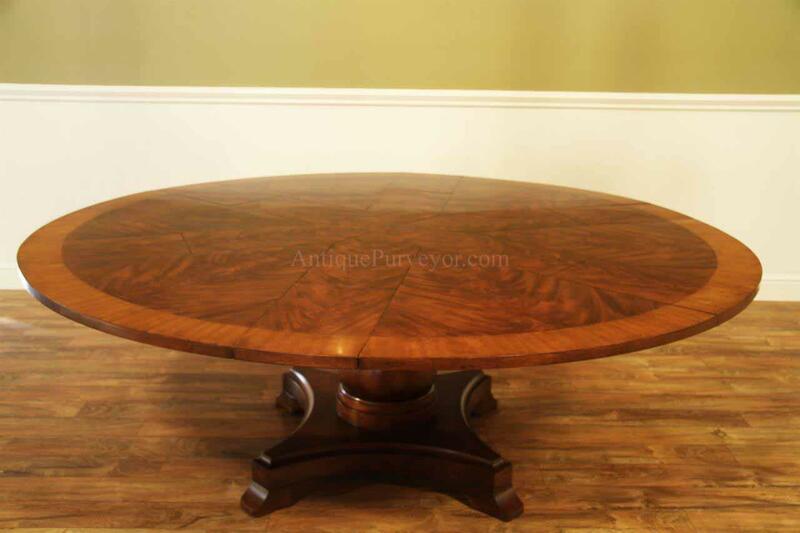 Description: Flame round solid mahogany dining table with self storing leaves. 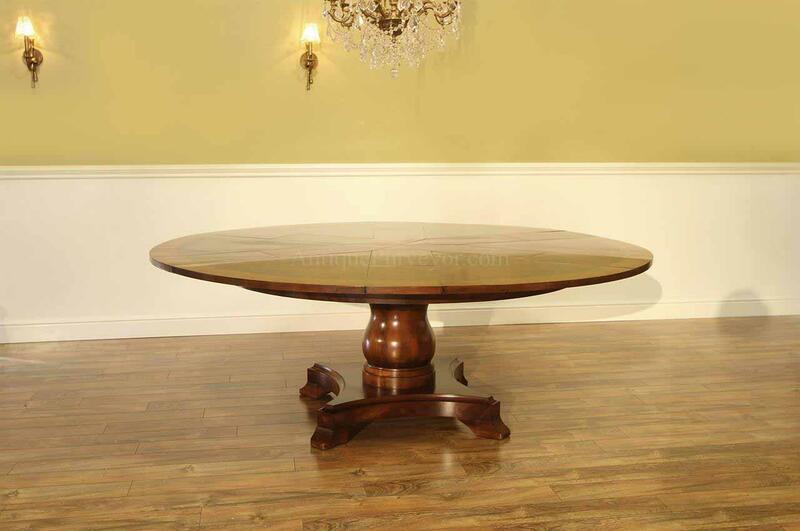 A sturdy single colum and wide platform base, exclusive designed table built for our online store. 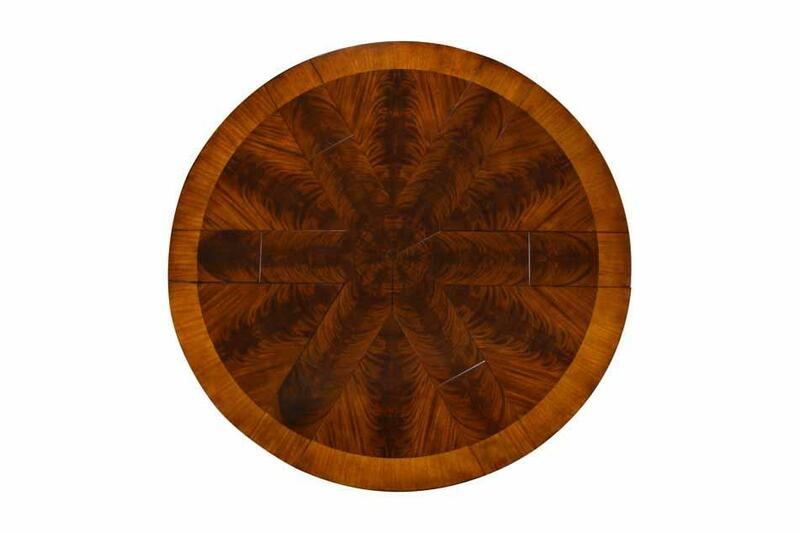 This Jupe dining table also features a copyrighted foot from our King Demure collection. 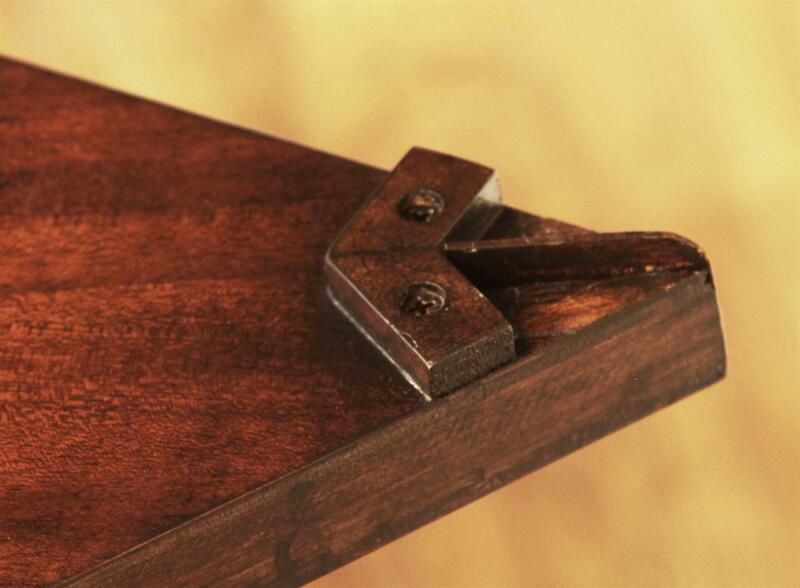 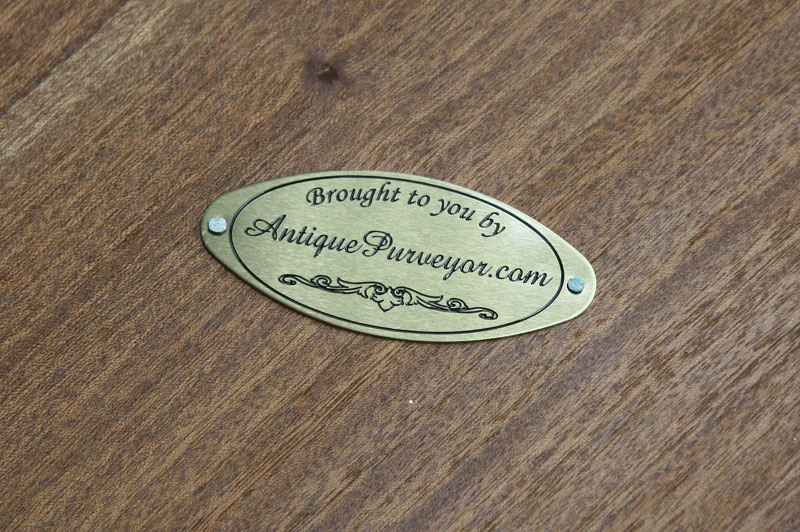 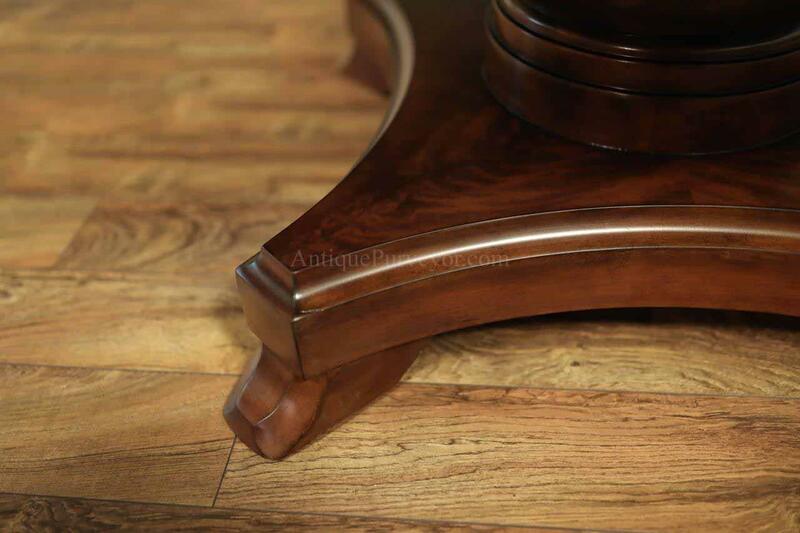 Please note that some of the pictures on this product page show a simple foot from version 1 models but the foot that will come with your table will be version 2 which has a more refined shape and looks less "country". 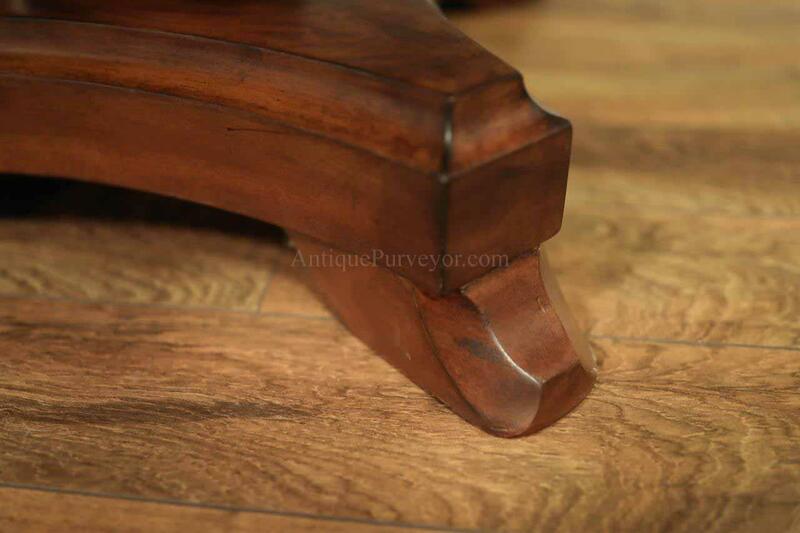 We have provided you with foot details so you can see those details up close. 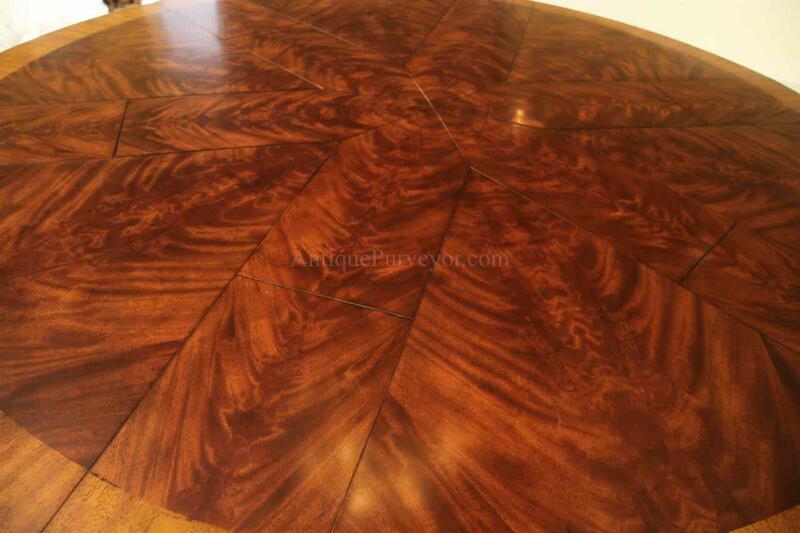 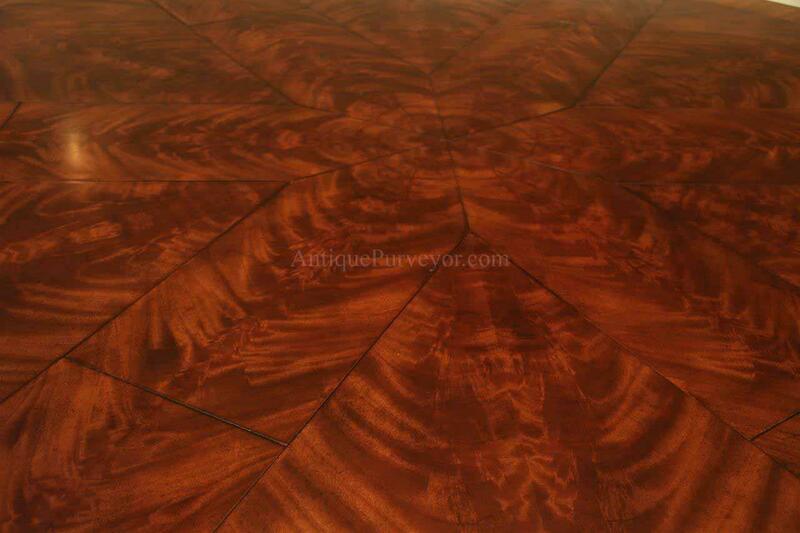 Brown mahogany finish and satinwood banded to coordinate with most traditional furniture. 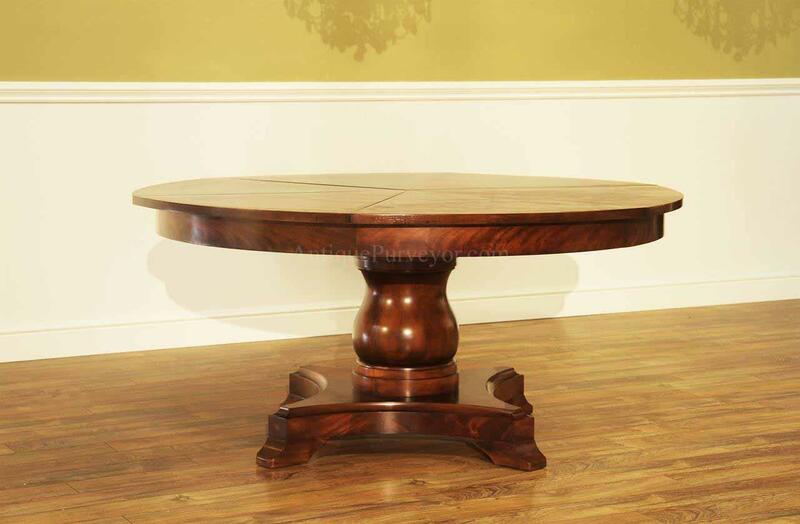 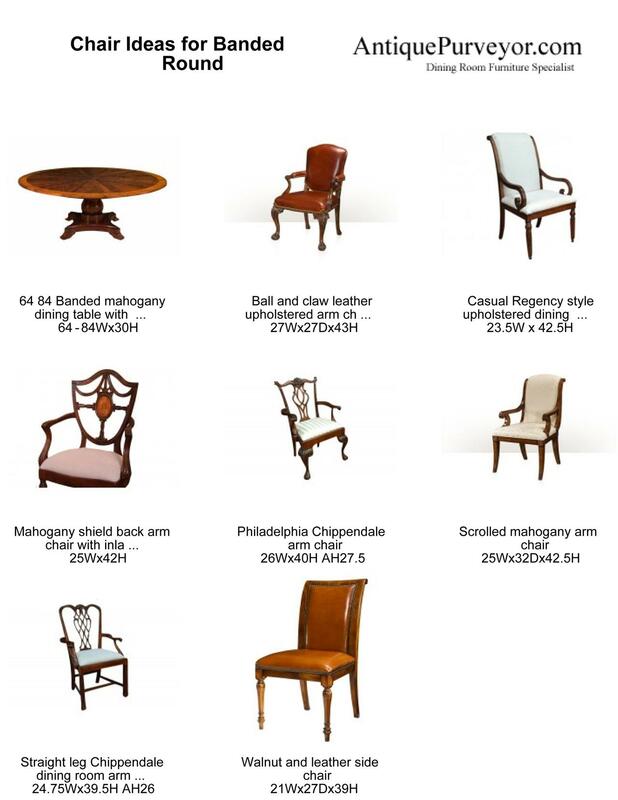 Use this table in a formal or casual setting. 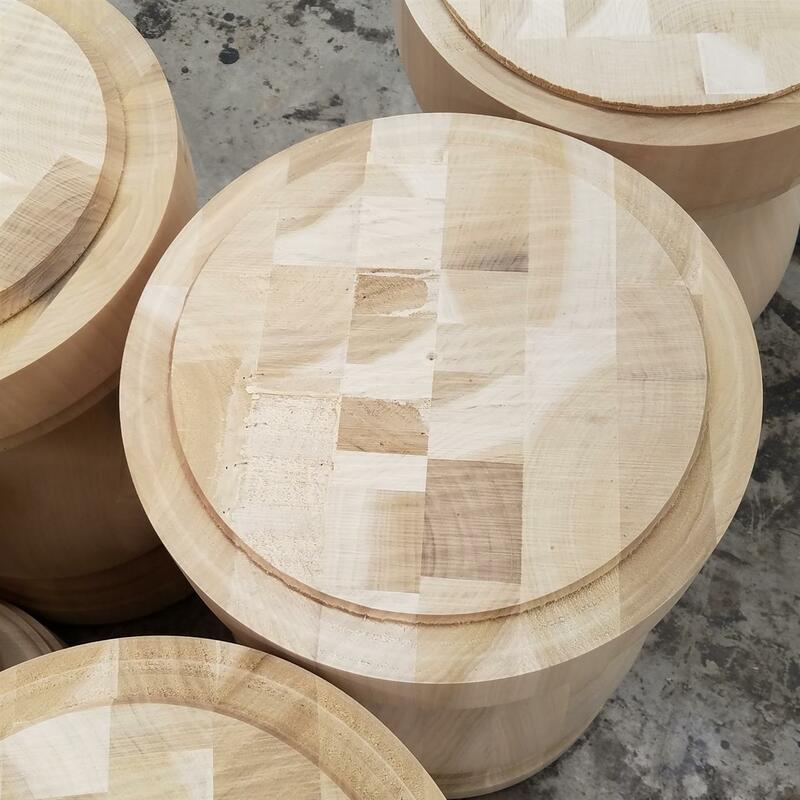 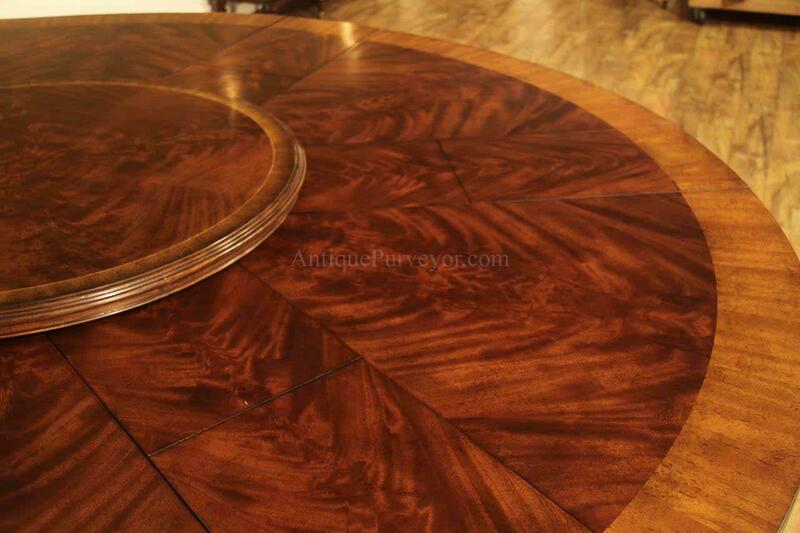 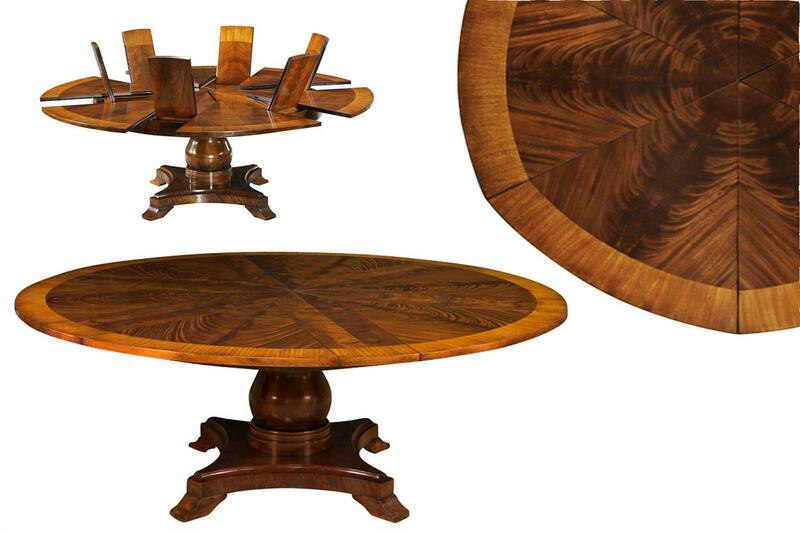 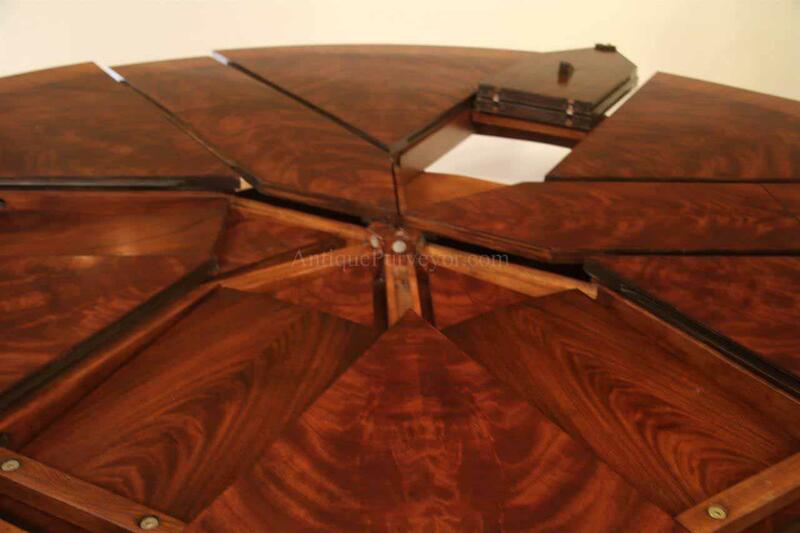 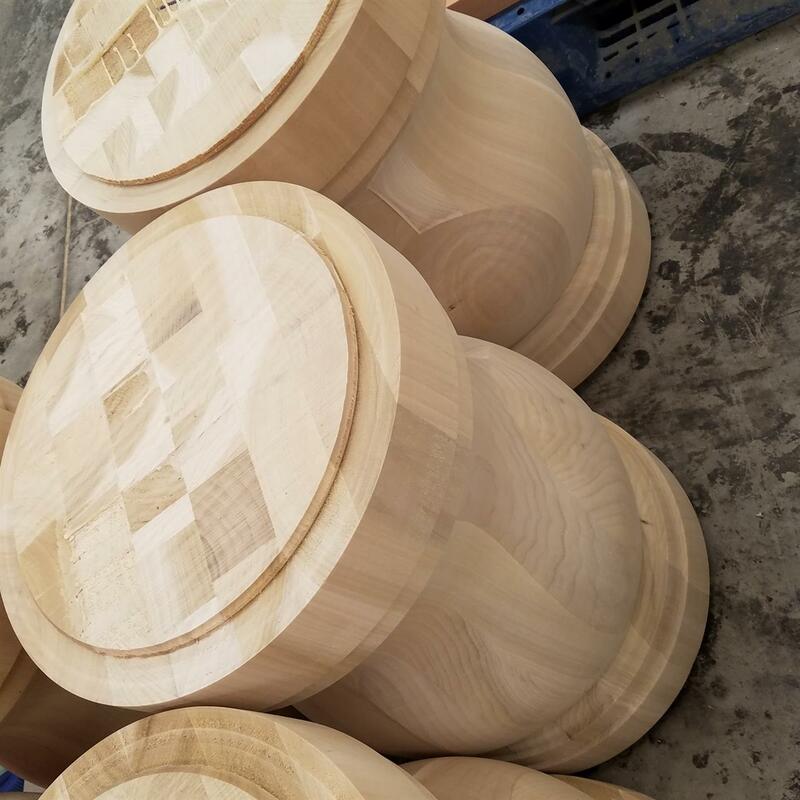 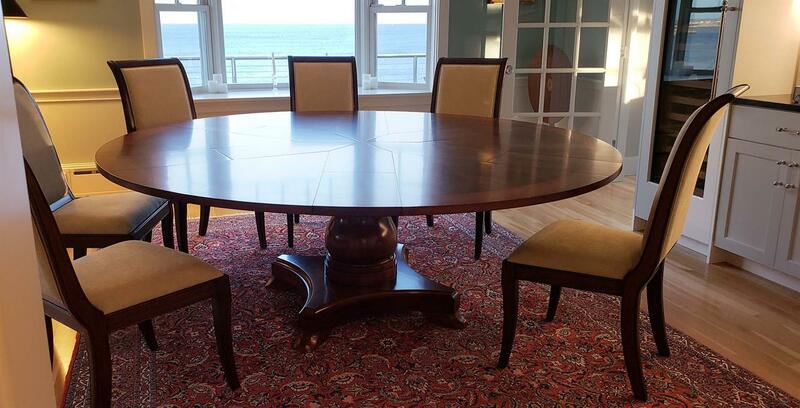 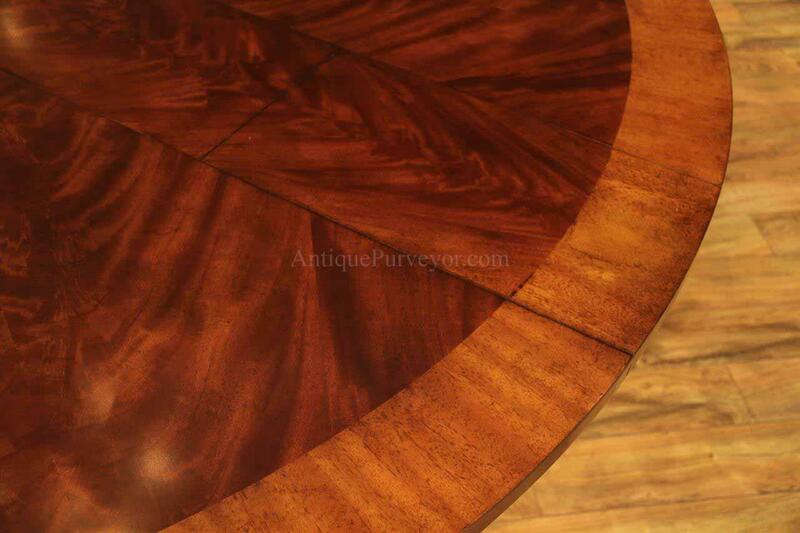 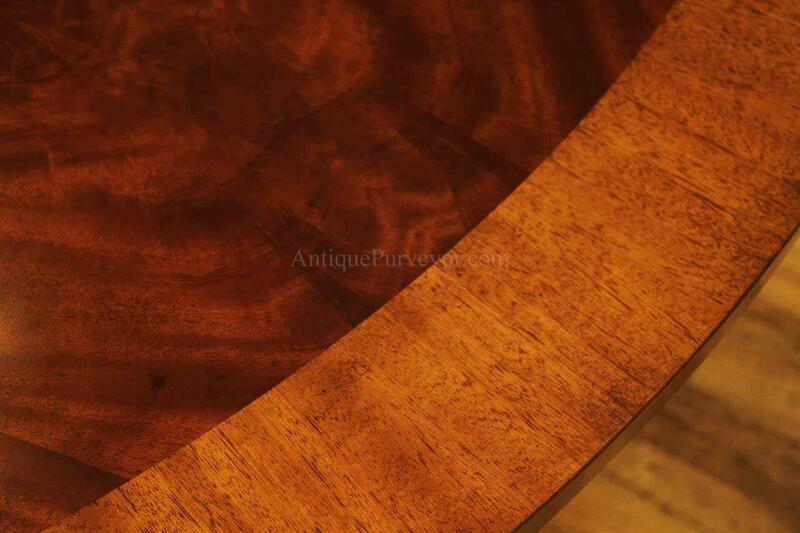 This round mahogany table has a saber leg that will also coordinate with transituional decor as well. 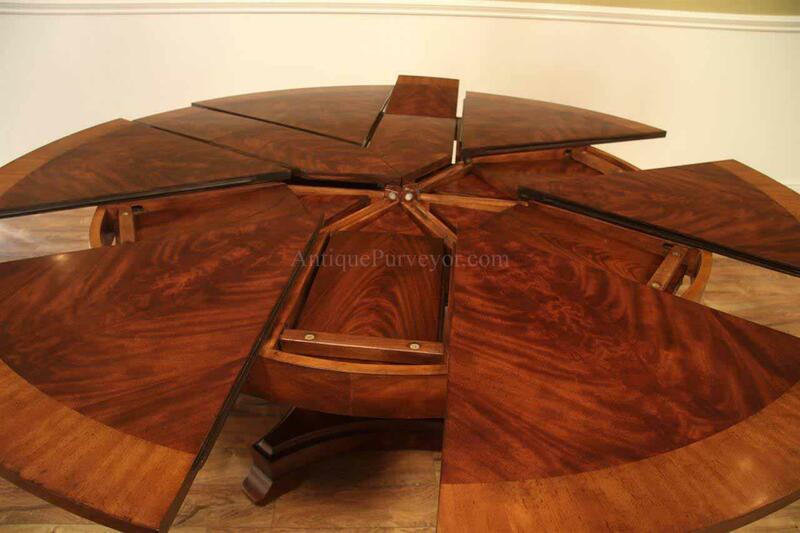 Simple jupe mechanism is not fussy and will prove to be quite dependable over the years as there are very few moving parts.